Dell Inc. (NASDAQ: DELL), the world's third-largest computer manufacturer, is scheduled to release its fiscal fourth-quarter 2009 financial results after the closing bell on Thursday, February 18, 2010. Analysts, on average, expect the company to report earnings of 27 cents a share on revenue of $13.85 billion. In the year ago period, the company posted earnings of 29 cents per share on revenue of $13.43 billion. 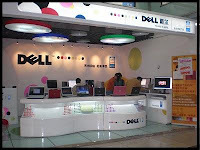 Dell Inc., together with its subsidiaries, engages in the design, development, manufacture, marketing, sale, and support of computer systems and services worldwide. In the preceding third quarter, the Round Rock, Texas-based company reported that its third quarter profit plunged 54% from last year, as revenue dropped and margins shrank amid global market share loss and weak corporate demand. Net income totaled $337 million or $0.17 per share, compared to $727 million or $0.37 per share, for the year-ago quarter. Revenue for the third quarter fell 15% to $12.90 billion from $15.16 billion in the same quarter last year. Analysts, on average, expected the company to earn $0.28 per share on revenue of $13.18 billion. Gross margin for the quarter fell to 17.3% from 18.8% a year ago, while operating margin declined to 4.5% from 6.7% last year. The company expects fourth quarter revenue to improve over the third quarter. Dell expects seasonal demand improvement in its consumer business, while demand in public is typically lower during the quarter. Dell responded to lackluster PC sales growth by expanding offerings of non-PC electronics and increasing their presence in developing countries such as India and China. Dell is likely to benefit from an uptick in technology spending. PC sales particularly got a boost from stronger consumer demand, especially during the holiday season and following the rollout of Windows 7, Microsoft Corp.'s new operating system.According to technology research firm Gartner, worldwide PC shipments surpassed 90 million units in the fourth quarter of 2009, a 22.1% increase from last year. It was the strongest quarter over quarter growth rate the worldwide PC market has experienced in the last seven years. Dell's worldwide PC shipments increased by 5.7% to 10.39 million units from 9.83 million units a year-ago. Early this month, Dell agreed to acquire KACE, a systems management appliance company with solutions tailored to the requirements of midsized businesses and public institutions. The acquistion is expected to help it compete in the small and medium-sized business hardware market. The company's stock currently trades at a forward P/E (fye 30-Jan-11) of 11.07 and PEG Ratio (5 yr expected) of 1.24. In terms of stock performance, Dell shares have gained 53 percent over the past year.